Although this is unusual for a restaurant to be located in a food court, this was Wendy's choice. Chef Ythu Wendy Nguyen runs a stall housed in two popular food courts on Orchard Road- food Opera at ION Orchard and Food Republic on the fifth floor of 313@somerset. The eateries feature about 40 seats, just enough to call it restaurant. Connoisseurs of Vietnamese cuisine in search of authenticity, flow to her stalls when their Vietnamese crave is calling. 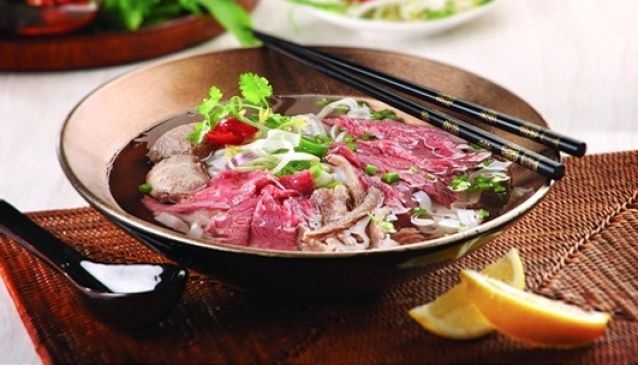 You'll find here all the favourites: Vietnamese Beef Noodle Soup (Pho), Pork Chop with Broken Rice, Rice Paper Spring Rolls, Dried Noodle Salad, BBQ Chicken and Vietnamese Baguette. And to round up your meal go for the delicious Mago and Glutinous Rice with Coconut Sauce. And don't forget to order their Vietnamese Dip Coffee and Vietnamese beer. Dishes are very affordable and range between S$3 and S$10.90 only.